“Your babies are likely to be born blind, deaf, or with brain bleeds or worse if they are born right now” the perinatal specialist told my husband and me after I was admitted to the hospital for preterm labor with our triplets at just 23 weeks gestation. I unmistakably heard God in that moment yell “NO!” inside my head and kindly asked the doctor to leave my room. The doctor was doing his job, but it was time for my God to do His job– protecting the lives of our unborn children. When you’re pregnant with triplets, the question is not if your babies are going to be premature but how premature they will be. Thousands were praying for us, a reality show was covering our story of three miscarriages followed by becoming pregnant with triplets, and we had seen God moment by moment reassure and comfort us. I had felt God carry me every step of the way, and I knew He wasn’t going to suddenly stop. Faithful He had been and faithful He would be. Fifty days of confinement to a hospital bed, while being let out once a week for 20-minute wheel chair ride dates with my husband, turned what I thought would be unbearable into one of the sweetest times in our lives. Not knowing what the future held, we held on to one other, and God held onto us. While fear threatened our faith, the opportunity of seeing the God fight for our family was an experience I wouldn’t trade for the world. God heard our prayers, and our babies were delivered by emergency c-section at 30 weeks and 4 days. We were so excited to meet our newborn triplets and so glad this season was over … or so we thought. There is nothing quite like not being able to hold your newborn child. Seeing the baby or babies, in my case, you have loved for the past seven months whisked away by strangers followed by being told what you can and can’t do for your own infants by doctors and nurses is hard and, honestly, it’s unnatural. I remember bawling when I found out a well-meaning nurse had given our baby girl a pacifier before I had been able to. This may seem like an odd thing to be upset about, but so much is taken from you as a parent of a preemie that you cherish anything and everything that you are able to do for your baby. Almost instantly, false guilt, real guilt, mom guilt, shame, fear, anxiety, and isolation flooded in like a tidal wave. Where was the spiritual closeness I had felt while on bedrest? Where was this great NICU comradery I had read about online? I didn’t feel spiritual. I felt terrified. I felt alone. After sleepless days, I would finally fall asleep out of exhaustion in their hospital room, only to be awakened up by alarms signaling their heartrates were dangerously low and even witnessing one of our sons resuscitated. Motherhood was not supposed to be this way. According to the World Health Organization, an estimated 15 million babies are born too early every year. That is more than one in 10 babies. Approximately 1 million children die each year due to complications of preterm birth. 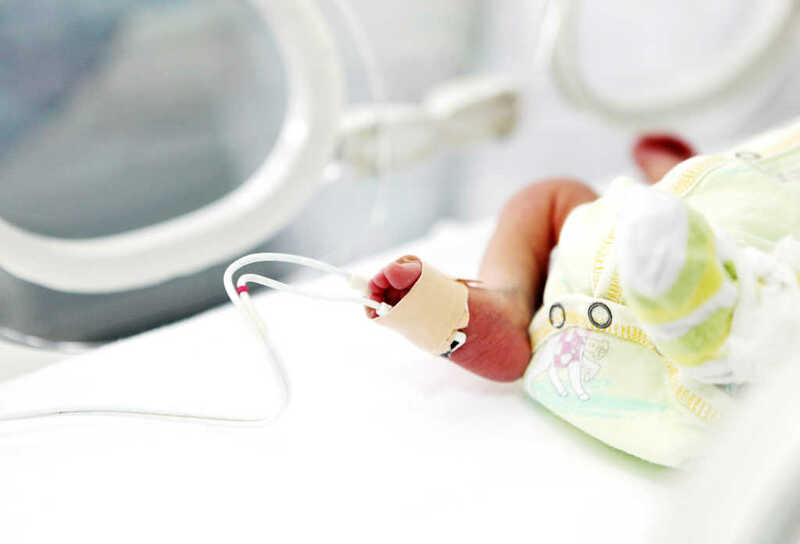 Globally, prematurity is the leading cause of death in children under the age of five years. New studies are showing that NICU parents are exhibiting signs of post traumatic stress disorder as a result of the constant exposure to death, sirens, illness, uncertainty, and fearful situations. For people wanting to help: There is so much loss in being a parent of a premature baby. Remember that no matter how put together a new mom seems, this is the hardest season of her life. She needs your encouragement; she needs your prayers; she needs to hear that you remember her. With the pressure for a dad to be the pillar of strength for the family little room is left for him to express his fears and sadness. Moms usually get permission to feel; dads usually don’t get that same kind of permission from society. Going from “Your babies probably won’t make it” to “Your babies are going home today” was a joyful and confusing journey. The biggest lesson I learned during this time was the incredible comfort we have in knowing nothing surprises God. Our babies’ low birth weights, medical complications, my emergency c-section, and even the week of gestation our children were born were all sifted through God’s perfect plan for our lives. Almost a year later, I’m figuring out how to do this important time in our life justice, while moving on and enjoying a normal life–whatever a normal life with one-year old triplets is supposed to look like! Julia Jeffress Sadler is an author, speaker, counselor, girls minister, and new mom to triplets: Blair, Barrett, and Blake. After experiencing three miscarriages in one year, she gave birth to miracle triplets. Julia and Ryan are junior high sweethearts and lead the student ministry at First Baptist Church of Dallas, Texas. Their journey is featured on the TLC show “Rattled,” premiering July 10, 2018. Follow Ryan, Julia, and the triplets on juliajsadler.com.